The prospect of divorce in Monterey inevitably brings clients to our office with a wide range of emotions. We understand that this may mean that you have lost a source of support, comfort, and familiarity—in many cases, both financially and emotionally. Please know, you do not have to go through this alone. Let a Monterey divorce attorney at Cornwall Family Law Office guide you through the legal process by mapping out a personalized plan that addresses both your financial and family concerns. In California you must meet several requirements before you can legally file for divorce. You must meet residency requirements, establish grounds for divorce, separate property, and complete a plethora of paperwork. The process can be complicated. Grounds For Divorce – California is a no fault divorce state, meaning that you cannot file for divorce based on your spouse doing something wrong (like adultery). Hence, most divorces are based on the grounds of “irreconcilable differences.” Irreconcilable differences occur when there is a complete and irreparable breakdown of the marriage. Let our divorce attorneys evaluate your case and help you navigate California divorce law. Uncontested Divorce– If your spouse does not dispute any part of your divorce, we can expedite the process with an uncontested divorce. Let us help you agree on a marital separation agreement with your spouse so that separation is a quick and easy process. Quick Divorce (Summary Dissolution) – If you and your spouse meet the criteria for an uncontested divorce, you may also qualify for an expedited divorce (called a Summary Dissolution) if you do not have children or large assets, and have been married less than 5 years. We can help you determine if you qualify and guide you through the summary dissolution process. Filing For Divorce– Although basic divorce forms are available online, they can be complicated. And if you make a mistake in your divorce paperwork, it can be difficult to fix it after your divorce is final. Our experienced divorce attorneys can help you gather the appropriate information needed to complete those documents and guide you through the process of filing for divorce. Military Divorce – Additional laws, assets, and child custody issues may apply to your divorce, if you or your spouse are, or were, an active duty member of the military, or if one of you earned military benefits during the marriage. Our Monterey divorce lawyers are familiar with the special state and federal laws that are critical in a military divorce, and can ensure that your military divorce is handled properly. Property Division – It is best if you and your spouse can agree on how to separate real property, personal property, and debts. Otherwise, the court may allocate property in a way that is unfavorable to you. 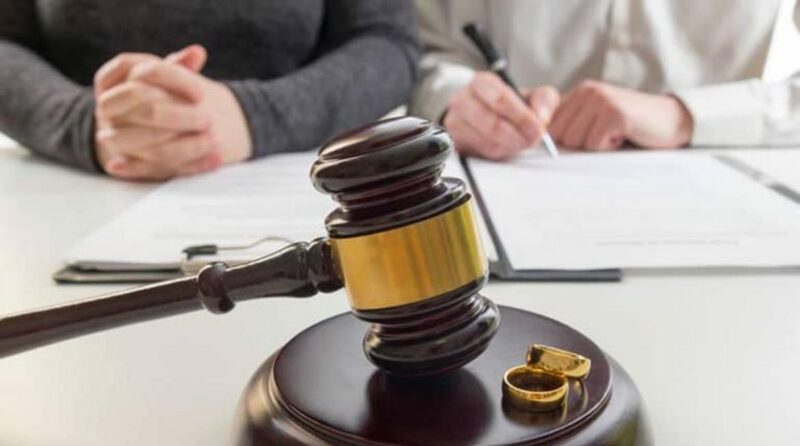 Our Monterey divorce lawyers know how to work with other parties to form agreements that will be beneficial to you as you move forward with your life after divorce. Alimony/Spousal Support – One of the most contested issues in divorces is the payment of alimony (also called spousal support). In California, the court has tremendous discretion in setting temporary and permanent spousal support. If you are unable to settle or resolve this issue, then your attorney needs to develop detailed evidence to support your request. Let us help you reach a fair outcome in an alimony case during your divorce. Prenuptial Agreements – If you and your spouse had a prenuptial agreement prior to marriage, your divorce can be even more complicated. We will evaluate the agreement and present the facts to the court in a way that benefits you in the outcome of your divorce. Domestic Violence Restraining Orders – These restraining orders are an extremely powerful legal tool. If you are the victim of abusive behavior from your spouse, we can help you quickly obtain a court order to protect you and your children. On the other hand, if you have been falsely accused of domestic violence, this restraining order can have serious financial and legal effects. Our attorneys frequently handle domestic violence restraining orders and can help protect you legally. Why Hire a Divorce Attorney?– Divorces are almost always more complex than they initially appear. You may think that your spouse is being amicable, but in the end, they are only interested in what is best for themselves. You need a seasoned divorce attorney on your side to make sure you get the best outcome possible in your case. Divorce can be devastating. Ending a marriage can be an emotional experience. You may be hurt and unsure of what to do next. You need a knowledgeable Monterey lawyer on your side. We have experience in all types of divorce cases and know how to get the most beneficial outcome for our clients. Contact the Cornwall Family Law Office today at (831) 515-6577 to find out how we can help you.